"Particularly welcome is the call from the Freedom of the Press Foundation in the United States for worldwide fundraising for legal defence," says PFF Chair Titi Gabi. PFF is calling on Australia and New Zealand to urgently review law changes that restrict press freedom, and a police raid on the home of an investigative journalist. "Media freedoms in the Pacific have long been supported by Australia and New Zealand," says PFF Chair Titi Gabi. "To now see actions against those freedoms by authorities in those countries is alarming," she says. PFF joins the World Association of Newspapers and News Publishers, an organisation representing 18,000 publications in 120 countries, along with other media freedom groups around the world in calling for the new Australian security laws to be revised. "Journalism is not a crime," says Gabi, a journalist based in Papua New Guinea. "Australia cannot credibly condemn the jailing of Al-Jazeera journalists on security charges in Egypt while pursuing similar powers in its own country." Concerns about the new laws were raised globally as New Zealand authorities also raise the prospect of similar laws there. 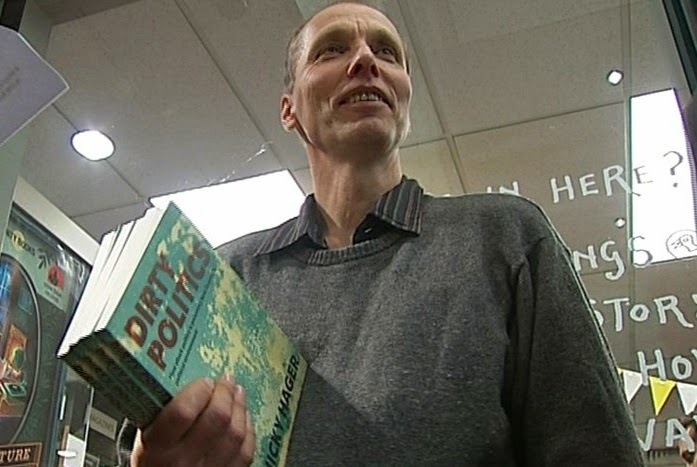 At the same time, police in Wellington raided the home of Nicky Hager, whose recent book exposed high level attacks on the country's Serious Fraud Office and political interference in the handling of information from intelligence services. PFF Co-Chair Monica Miller says the raid raises further doubts about the neutrality of security and law enforcement in New Zealand. "Police have yet to show that they are taking the issues raised in this expose seriously. "Instead, they appear to be placing greater priority on investigating the messenger first," says Miller, based in American Samoa. Hager is a member of the International Consortium of Investigative Journalists, and it was a recent expose of leaked emails in his book "Dirty Politics" that saw police raid the author's home. Says Miller, "At a time when there are global concerns about extensive state surveillance of citizens, heavy jail terms and police raids raise further concerns about the always fine balance between security and liberty." PFF is calling on the governments of Australia and New Zealand to show greater respect for the separation of powers between news media in its role as the Fourth Estate.